Eight-year-old JJ Tomsick, son of Rachel and Jeremy Tomsick, of Houston, Texas, is already a great missionary. 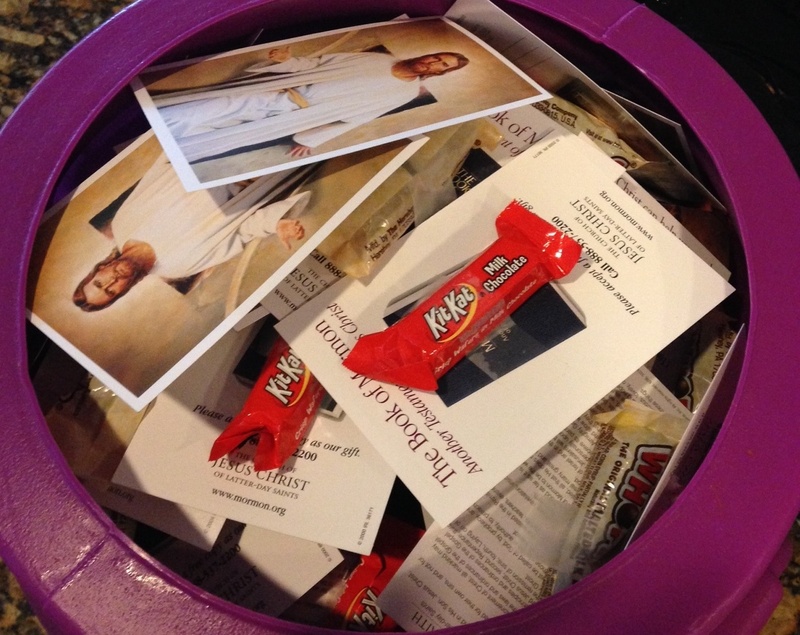 He came up with the idea to pass out their Halloween candy attached to a pass along card. We think it is the best Halloween idea yet, and we hope many people will make it to the Tomsick home.